“Lay Holy Hands on Your Child(ren)!” by Dr.J. 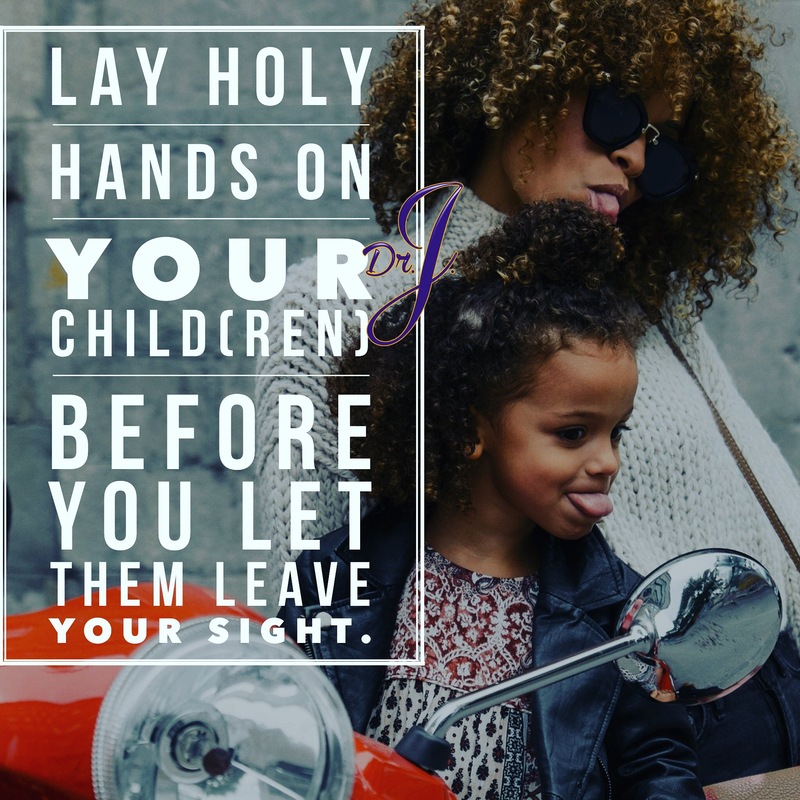 Did you lay holy hands on your child(ren) this morning? When they leave the safety and protection of our home, we send them out into a world of darkness. Dark systems. Dark situations. Dark people. Did you pray a strategic prayer of protection? Favor? Spiritual awareness? Even your youngest needs to understand that there is spiritual activity. Don’t let them leave your sight without your holy hands upon them. The enemy wants to take our children out. He can’t have them! Dr.J. Previous Post“Let ‘Em Go!” by Dr.J. Next Post“Spirit of Criticism” by Dr.J. Hey sis! I’m here! Love you!